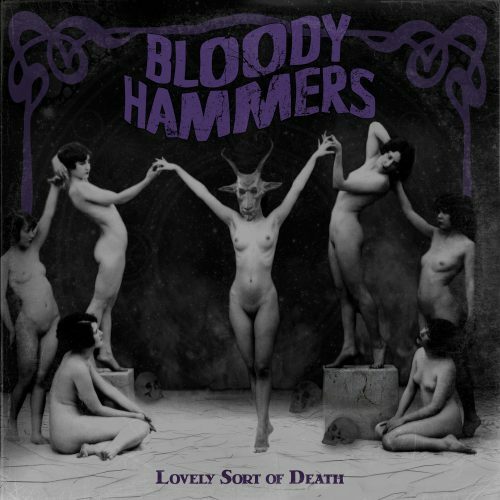 Currently viewing the tag: "Lovely Sort of Death"
"There once was a time when the little known Bloody Hammers were making like the even lesser known Vardan by releasing new albums with shocking rapidity. Perhaps this was their way of getting their name out there and keeping whatever low-level momentum they garnered moving in the right direction. Unfortunately despite some good ideas, the music often felt slapped together and rushed with inconsistent results. The talent and potential were definitely there, but the results weren't quite up to snuff. In my review of their 2014 opus Under Satan's Sun I prescribed a longer time between releases to allow their ideas to germinate, marinate and ruminate, and perhaps they took the advice to heart." Free advice is worth exactly what it costs.